For the Denver Broncos, their Super Bowl rings were definitely worth the wait. During a ceremony held Sunday night, the defending champs got what they deserved — jaw-dropping rings. According to the team, each ring has 194 diamonds that comes in at more than 5.05 carats. 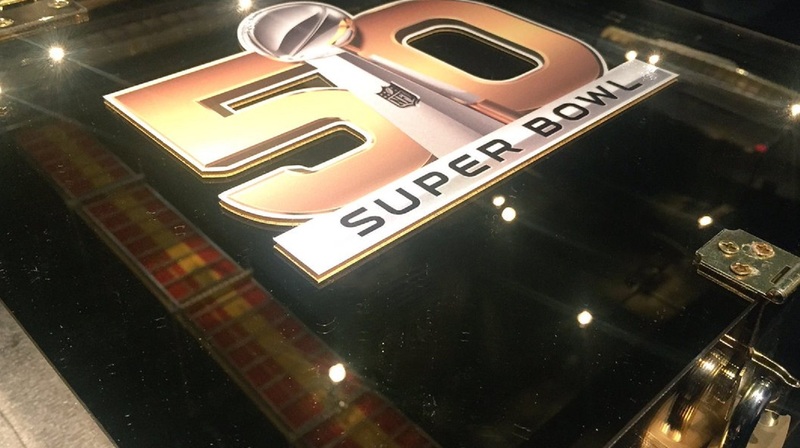 The Broncos’ logo sits in the middle with the franchise’s three Super Bowl trophies above. On one side of the ring has an image of the Lombardi Trophy surrounded by the words “This one’s for Pat.” GM John Elway said those words after the Broncos’ 24-10 win in Super Bowl 50 in honor of team owner Pat Bowlen, who is battling Alzheimer’s. But words really don’t do these rings justice, so why not just take a look for yourself. "The Super Bowl 50 championship victory was a tremendous achievement for the entire Broncos organization," Broncos president and CEO Joe Ellis said on the team’s website. "We’re honored to once again partner with Jostens to recognize such an historic moment in NFL history with a spectacular, one-of-a-kind ring that symbolizes the accomplishments of this very special team. "Most importantly, the ring honors the Broncos’ rich history and passionate fan base. It truly captures the excitement of our Super Bowl 50 win for the incredibly deserving members of our organization." Recently retired Peyton Manning had to take a moment to compare the two rings he won during his illustrious career. "It’s very special to win that championship for him and his family this year," Manning said. "It’s very special. These don’t go away. I pulled out my Indianapolis Colts ring tonight. Hadn’t worn it in nine years. I wore it for about two weeks after we received our rings in the summer of 2007, and then I’ve had it in storage. So I pulled it out tonight."